Oh, and somewhere in here I’m going to finish my Lift and Separate sweater (including weaving in the bijillion ends), as well as finish off sock #1 (nearly there…just another inch maybe) and begin sock #2 of the current commuting project pair. So, here’s how I’m spending the holiday weekend. Whew! That may be it…for now. Let’s just see how much of this actually gets done. 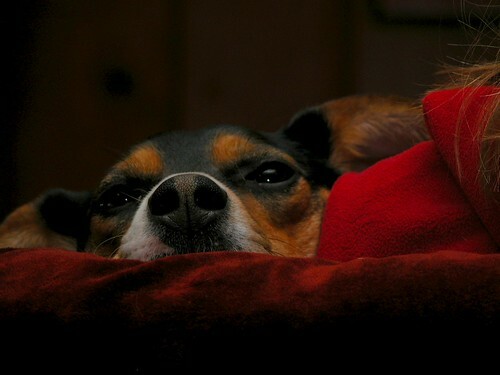 That’s been my theme song for the past couple weeks: just takin’ care of business. This is typically the busiest time of year for me and “my people” — gardeners, that is. Spring is a time of high activity, although it hasn’t been that high for me this year. And that’s kind of driving me bonkers. Typically, I’d be preparing the soil for my annual veggie beds this year. But, I still don’t have any annual veggie beds yet. So, I just have a bit of light weeding to do here and there. No garden sales to attend this year, since I don’t need any new plants. No place to spread out the compost, so my annual compost bin shuffling is postponed. Pretty much the only thing to do is lay down soaker hoses in the newly configured front yard. I’m just not used to such a light spring gardening list. There are still plenty of garden delights, though. It’s May and so many things are blooming right now. 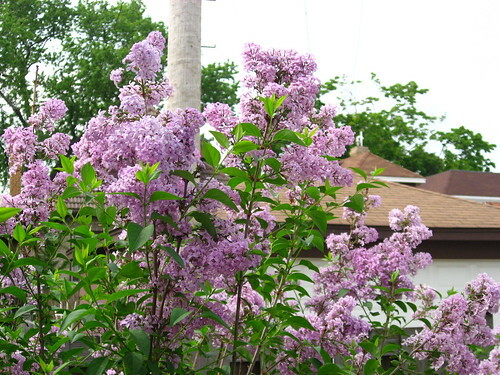 First and foremost: Lilac. 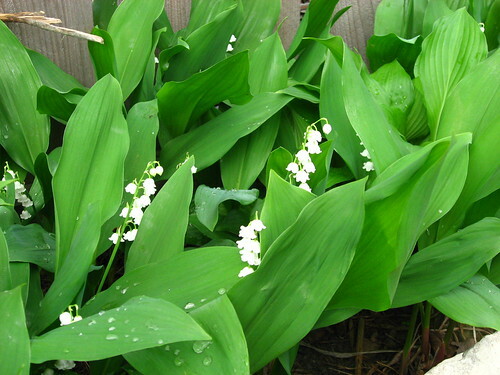 Another fragrant spring lovely: Lily of the Valley. These are short plants, though, so it’s hard to really get a noseful unless you hunker down next to them. There are many other ornamentals in my garden that are in bloom this time of year. I’m just savoring them all. As far as knitting goes, the only new thing on my needles are another pair of socks for my commuting/travel knitting. They are pretty basic, toe-up socks that incorporate one new thing learned while working on the first Rockin’ Sock Club socks. I’ve worked on toe-up sock construction before, and thought that I really didn’t like short row toes. After working on the Inside-Out socks, though, I’ve since learned that it’s stockinette short row toes I don’t like. No matter how I pick up the wraps, they always seem to leave a little hole. But when done in garter stitch, the short row toe looks just fine to me. So these socks are constructed with a short-row garter stitch toe, but _not_ a short-row heel. I tried the short-row garter stitch heel on them, but ended up ripping it out. It just didn’t feel like it fit right to me: too much stress and pulling along the top of my foot. I really need the extra room of a gusset, so I reworked the heel with a gusset and heel flap. Now it fits much better. Patterning is a the garter rib from Charlene Schurch’s Sensational Knitted Socks. (I love that book, and am looking forward to getting the second one!) I’m using the Tofutsies yarn from Southwest Trading Company and am really liking the fabric. It feels very soft and drapy on the needles and on my foot. I guess drape isn’t something that’s usually considering a desirable property for sock fabric, but I can’t explain it any better than that. I’ve certainly been tempted to start new projects, but I’m being really disciplined about finishing up what I’ve already started. So, I’m still working on the Lift and Separate wrap sweater. I’m stuck on the sleeves now. *yawn* Not very interesting, except that I’m looking forward to finishing a new, long-sleeved sweater in time for air-conditioning season. BRRRRR! 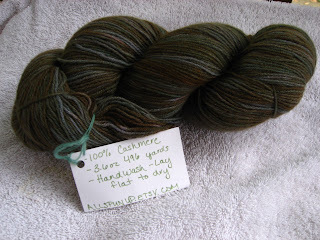 Tomorrow I’m hauling in the giant, mohair pie wedge shawl for sure.